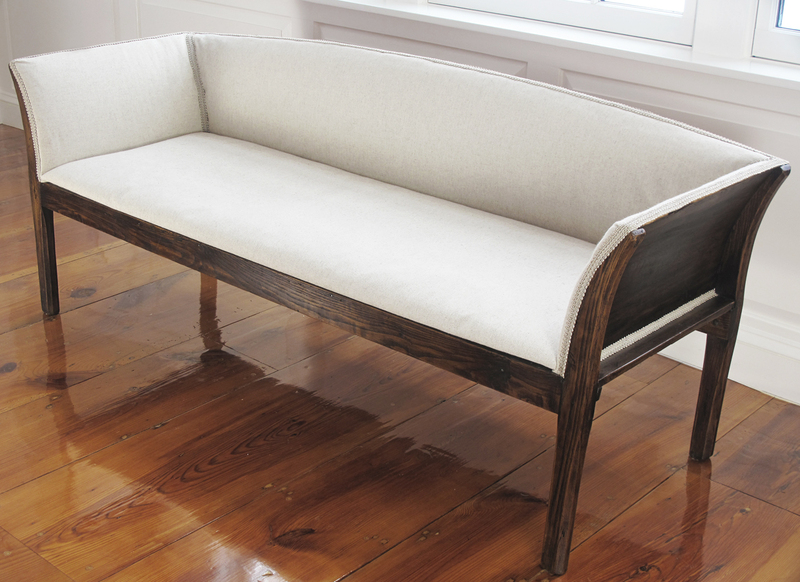 A late 18th century English oak sofa, with fresh sand coloured linen upholstery. The construction is mostly hand-carved oak, with a delightful curved pine back and pine bottom boards. There are early hand forged Rosehead nails throughout. 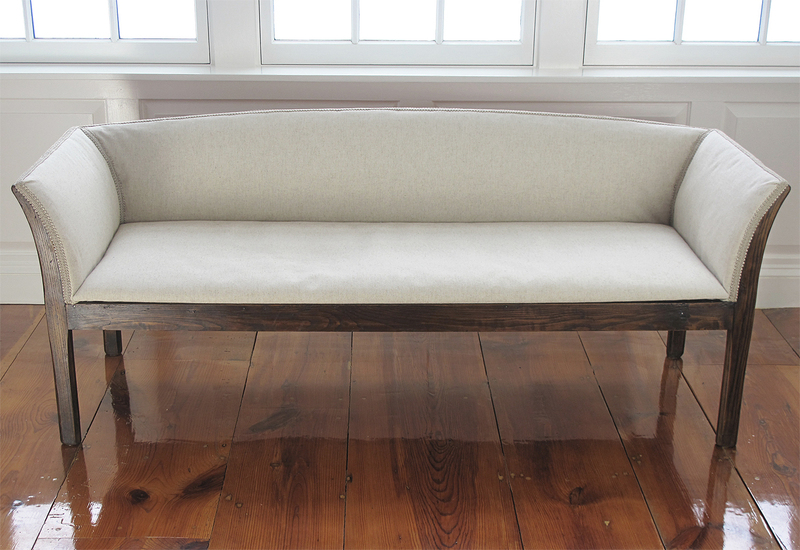 The sofa also has nails from the 19th and 20th century, as it had been reinforced and repaired over the years. It’s very sturdy and firm. The finish appears to be original and has been refreshed with a coat of fine museum quality wax. Definitely a fine updated example of a late 1700s sofa. The edging and fabric give it a slightly later Regency era look with a Jane Austen feel. It’s rather small for a sofa, by modern standards. 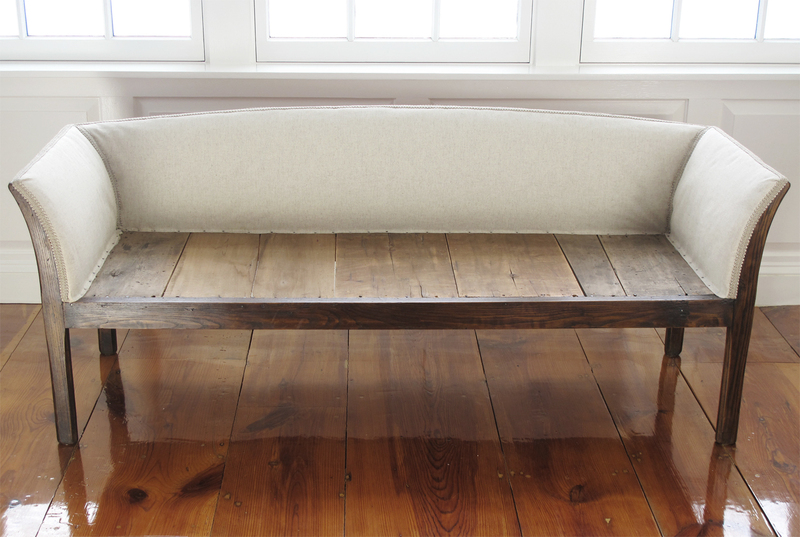 It would make a brilliant bench for the foot of a king size bed or as a foyer sofa. 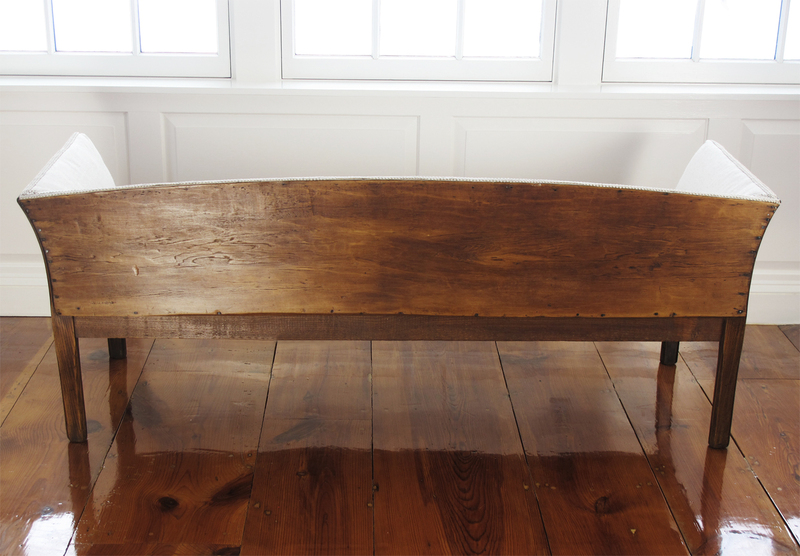 It’s best suited to moderate use, but definitely a sturdy old English oak piece, with a rich history. Please feel free to ask any further questions! It’s an adorable piece, which could suit many locations in a dwelling. Shipping available by freight. Local pick up/collection available by appointment. Delivery available throughout New England and the boroughs of New York City. Please be in contact for freight company options. Buyer responsible for shipping & handling fees. Only fully insured freight carriers will be used. We will help to arrange freight shipping to any location, accompanied by close communication throughout the shipping process.